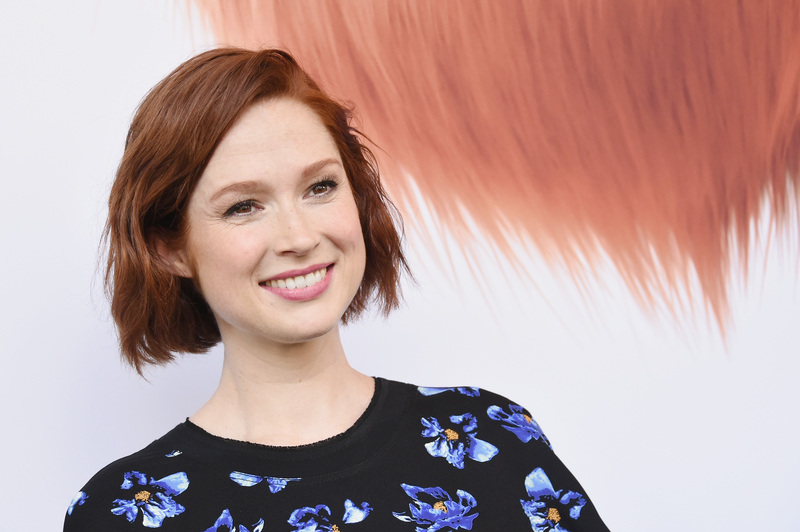 The Unbreakable Kimmy Schmidt star Ellie Kemper will soon join her fellow Hollywood funny ladies on the bookshelf. The as yet untitled Ellie Kemper memoir comes out in 2018, but here's what we know so far. Kemper broke onto the humor scene in 2009 with her turn as The Office's cheerful and naïve receptionist, Erin Hannon. She later appeared alongside Ghostbusters stars Kristen Wiig and Melissa McCarthy in the raunchy 2011 comedy, Bridesmaids. Since 2015, Kemper has starred as the title cult survivor on the Netflix Original Series The Unbreakable Kimmy Schmidt. Ellie Kemper's memoir will be a collection of personal essays and stories that follow the rising star from her childhood in St. Louis through her Hollywood career. In case you're wondering, yes, the lovable ginger has great writing chops. Check out her 2006 piece for McSweeney's, which will make you hope against hope that her memoir really does turn out to be titled I, Ellie Kemper . With I, Ellie Kemper — that's what I'm calling it now, OK? — the girl-next-door actress adds "memoirist" to her list of occupations, joining fellow comediennes and sometimes co-stars Tina Fey, Amy Poehler, Mindy Kaling, Amy Schumer, and Lena Dunham. Look for Ellie Kemper's memoir on store shelves in 2018.